A well-deserved celebration is happening this weekend for 5th year anniversary of Benson First Fridays (BFF). The organizers of this monthly festival, Jamie Hardy and Alex Jochim, are excited to plan this event having recently earned their nonprofit status this year. Founded in 2012, the two directors started BFF as a way to help artists reach the larger Omaha community and provide an outlet for artists to collaborate. Every month (except January) the two work with local businesses and organizations to create memorable events that cover all ranges of creative expression. The streets are often filled with people from all different walks of life on the first weekend of the month. In the past, BFF has helped artists and event producers display visual art, host performances, and celebrate cultural differences. They’ve also executed a few signature memorable events including the New American Arts Festival which celebrates the arts, ideas and cultures of Omaha’s refugee immigrant communities. Going strong for four years now, this festival happens on August 4 this year. While this fest only happens for one day, other well-known projects such as the BFF Banner Project and Summer Art Booths will continue to be hosted on a monthly basis. 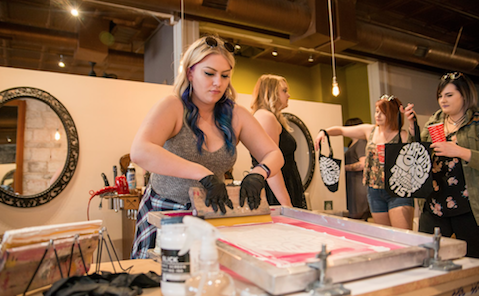 Last year, the BFF hosted more than 1,000 local emerging and established artists. They will definitely surpass that goal this year. Among other efforts include inclusivity and exposure to other cultures and new ways of thinking. Now that the consortium of BFF efforts is five years old, they want to show the city how to truly celebrate one another. 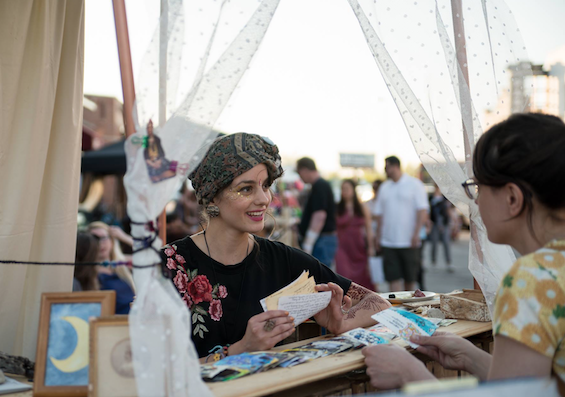 On June 2, BFF will offer a collective of interactive activities to generate both community engagement and economic traffic for the historic Benson Business District. Expect the following: cake and balloons, lots of it; Omaha Rollergirls skating athletically across the pavement; a community photoshoot in the middle of the street; and the construction of a mobile Graffiti Practice Wall open to youth and artists to learn authentic aerosol painting, street-style. Basically you will be walking into an “outdoor arts arena,” as director Jochim puts it. This month’s First Friday agenda also invites an on-street turntable artist DJ Buddi3 da Gawd from local radio station 101.3 Mind and Soul (FM); an art booth with Union for Contemporary Arts; an artist market with more than 20 local vendors; and last but not least, BFF will launch the first membership campaign called “Friends of BFF” in an effort to create sustainability for the organization. Should you be inclined to participate in this month’s festival, be sure to arrive early for a good parking spot and wear comfortable shoes. There is also a strong chance that you will meet your next best friend at this long-awaited fifth year celebration of BFF.